This article is part two in a five-part series that uncovers top strategies for reaching potential guests in meaningful moments and increasing direct bookings throughout every stage of the travel planning journey. 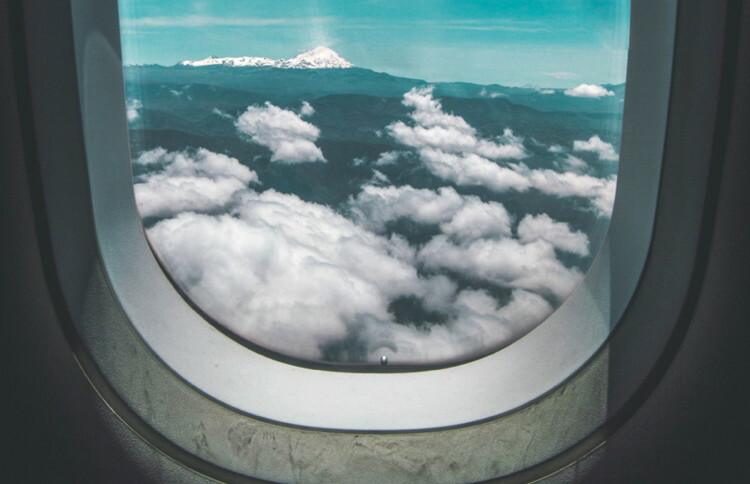 This article focuses on the first stage of travel planning: the dreaming phase. Let’s face it. We all understand the need for our next vacation, and some of us may even be counting down the days. But as hotel marketers, how do we reach potential guests at the very beginning stage of the travel planning journey? Is reaching travelers early in the process important? And even more significantly, how can hotel marketers make a lasting impression? Read on for part two of our five-part series, “How to Capitalize on the Full Travel Planning Journey to Drive Direct Bookings,” to understand how hotel marketers can reach potential guests in the first stage of the travel planning process: the dreaming phase. We will uncover what online behaviors are most common in this stage, what marketing channels are most effective, and how to measure success. What exactly is the dreaming phase? The first stage of travel planning is the dreaming phase, when consumers first start thinking about their next vacation. Google refers to the micro-moments throughout this phase as “I-want-to-get-away” moments. At this point travelers are just beginning to explore destination options and day-dreaming about what their next getaway could look like. According to Google, in this stage, travelers are not committed to any one brand. The search-engine giant has found that 78% of leisure travelers are undecided on what airline they will travel with, while 82% are undecided on the accommodation they will book. So, what does this phase mean for hotels? Endless opportunity to grab the attention of potential guests and ignite interest in a hotel’s destination, location, and accommodations. Before we can understand which marketing channels are best for reaching these potential guests, we have to understand what these key micro-moments look like throughout the dreaming phase. With travelers spending almost half of the dreaming phase on OTA websites, having an effective strategy to shift consumer attention to the direct hotel website is simply a must. By combining the power of non-OTA channels and touchpoints with the right content, hotels can greatly influence the travel planning journey and fuel potential guests through the direct booking funnel. 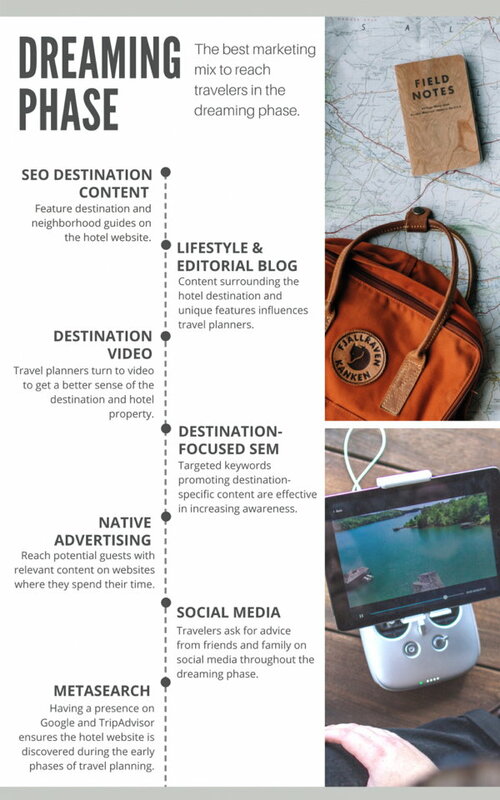 What type of content are travelers looking for in this phase? At this early stage in the travel decision-making process, people want brands to provide content to inspire and narrow down their destination choices. In fact, 67% of travelers are more likely to book with a travel brand that provides relevant information for the destinations they're interested in. For these broader, destination-level keyword search terms, it may surprise you that, according to Google, 60% of these searches were conducted on a smart phone. Travelers are day-dreaming on-the-go, and your hotel needs to find creative and meaningful ways to be present in these moments. Finally, no matter the device, 64% of people who watch travel-related videos do so when thinking about taking a trip, making video a crucial component in reaching travelers in a compelling way. SEO Destination Content and Travel Guides: Featuring destination and neighborhood guides on the hotel website is one of the best ways to reach potential guests throughout the Dreaming Phase and ensure your hotel brand is present from the very beginning of the travel planning journey. HEBS Digital recently worked with an independent hotel to create comprehensive neighborhood guides. After just 30 days live, 57% of visitors came to the guide from search engines, showcasing how well-optimized destination content can successfully capitalize on search interest in destination keywords. Lifestyle and Editorial Blog Content: With travel consumers bouncing back and forth between the dreaming and planning phase as they consider their vacation destination options, valuable editorial content surrounding the hotel destination, property location, and unique property features play a crucial role in influencing travel planners as they narrow down their destination choices. Editorial destination content like “Why [Destination] Should be Number One on Your Travel To-Do List” or “Top 5 Gram-worthy Hidden Gems in [Destination],” is a great way to influence destination traveler’s decision. Property-specific content that positions the hotel as the hero of the destination is also a great way to influence the dreaming phase. Content highlighting on-property cultural programming, unique attractions near the hotel, and any unique amenities that play up your destination, such as featuring artwork from local artists, is also an effective strategy. Destination Video: With 64% of travel planners watching video in the dreaming phase, creating rich, interesting video content that provides useful information for travel planners is one of the most effective strategies to influence potential guests. Travel planners are turning to video to make the travel experience come to life and help paint a picture of what their vacation might be like. They want to get a better sense of the scenery of the destination, things they can do, where they should stay, and, ultimately, how their vacation will take shape. Creating videos that feature the most sought-after information, combined with the power of YouTube advertising and retargeting strategies, will tell a compelling story and help nurture potential guests through the booking funnel. Destination-focused SEM, Gmail Ads, and YouTube TrueView: With 8% of travel planning in the dreaming phase happening through search, it’s important to have a comprehensive strategy across search channels. Targeted keywords promoting your destination content, as well as utilizing upper-funnel ad formats such as Gmail Ads and YouTube TrueView, are highly effective in increasing awareness and getting in front of potential guests in moments of influence throughout this phase. With Gmail Ads, you can target subscribers of top OTA websites, as well as email lists of your top competitors, to capture interest and demand early on in the travel planning journey. On the other hand, YouTube TrueView allows you to feature video content on relevant destination videos that travelers are already watching so you can capture the attention of potential guests and make an impact. Native Advertising: Native advertising allows your hotel to reach potential guests with relevant content on the editorial websites where they are browsing articles and spending time. Native advertising allows marketers to promote content that appears to be from the online publisher where your content is featured. Most importantly, content is blended seamlessly into the user experience and featured among similar, relevant topics from the publisher. 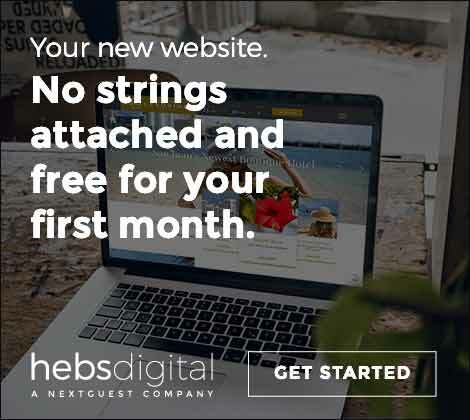 Native advertising has high engagement rates, with HEBS Digital clients achieving an average click-through rate of 1.8% and higher. By generating interest and demand, this advertising format drives traffic to the hotel website, which grows the remarketing pool and reaches potential guests with display ads lower in the booking funnel. Social Media: Many potential guests ask for travel advice from friends and family on social media throughout the dreaming phase. Travelers typically ask for destination recommendations based on category, such as family-friendly or romantic getaways. They will also ask for advice on accommodations once they narrow down their destination, and turn to social media for user-generated content (UGC) and original content from the brand. With consumers encountering an average of 1,400 images throughout this phase, having a strong presence on visually-compelling social media platforms such as Instagram is vital to making an impact. Aside from a strong organic presence, ad formats such as Instagram ads, Facebook promoted posts, and Facebook Dynamic Ads for Travel are great tactics to drive awareness and reach potential guests throughout many touchpoints on the travel planning journey. Metasearch: With 12% of travel planners using metasearch as a planning resource in the dreaming phase, a presence on Google Hotel Ads and TripAdvisor Metasearch is low-hanging fruit to ensure your direct website is discovered during the early phases of travel planning. Keep in mind that this initiative plays an important role in the dreaming and research phases. Because potential guests are price-shopping and utilizing Google Maps to view hotel locations, direct returns from this channel might not be comparable to lower-funnel initiatives. 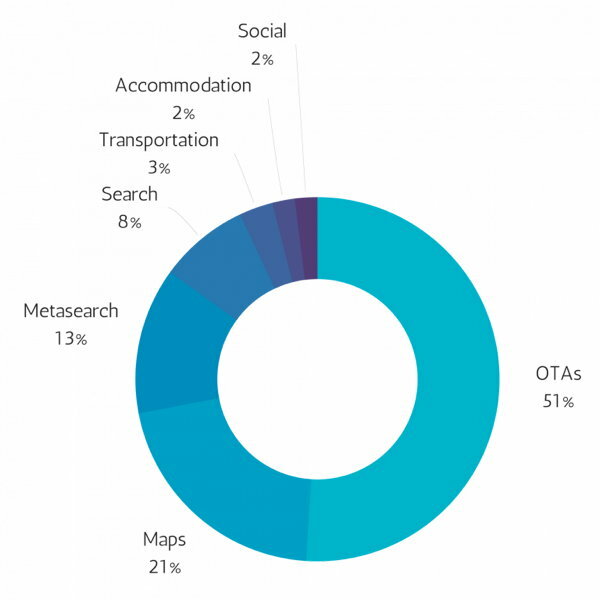 While Metasearch can serve as a lower-funnel marketing initiative as the last touch before a booking, it predominately serves as a research tool where users might click to explore a hotel, but not yet convert. Focus metrics vary depending on the marketing initiative and campaign budget. Establishing goal KPIs before launching a campaign is important for gauging success and optimizing campaigns to achieve your goals. Reaching potential guests in the dreaming phase plays an important role in capturing the majority of travel demand to your market and owning the attention of your best guest against your comp set and the OTAs. Consumer engagement in this phase increases reach and awareness of your hotel brand and fuels the booking funnel., Just like the beginning of any good vacation, being present in the moments that matter goes a long way.